Absolute Property Management offer you the solution. With over 25 years experience in running and managing commercial units and complexes, we provide tailor made packages to suit client needs. Some of the Properties we currently manage include Office Blocks, Commercial Units, Warehouses, Shops & Other Retail. We provide support and management in the areas of Reporting, Financial Planning, Communications, Maintenance, Cleaning and all other necessary areas of Commercial Property Management. Through our dedicated well trained team with a comprehensive knowledge of the property market and the Munster area, we are in a position to offer an unparalleled service in all aspects of Commercial and Retail Property units ensuring smooth and professional communication at all times. We provide a no hassle, no obligation assessment of and valuation of your property for letting and / or management. Absolute Property Management offers a top level, state of the art solution to Commercial and Retail clients. Our experience and systems allow us to work efficiently with all parties in managing units of all sizes. We pride ourselves in offering owners and managers the support required to run the management of the Commercial Properties effectively. We offer expertise and guidance so that clients can meet all legal, financial, health & safety and administrative requirements. We take a strict approach to Rent fee collection to enable smooth running of the tenancy. We offer an online database to owners for easy and secure access to all files and reports, including those of a sensitive nature. We work closely with Cork and Munster most reliable fully qualified & insured Maintenance companies and service providers, already having secured vastly reduced rates due to our bulk purchasing power. We make ourselves available to managed properties on a 24 hour, 365 day basis. 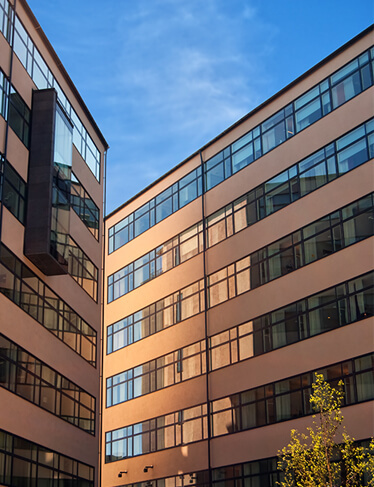 What’s included in our commercial property management fee? A 365 day, 24 hour emergency callout service for all managed properties. We respond to tenant complaints and issues. Rent collection system and we issue invoices and statements in a timely fashion and strict adherence to debt collection. Regular communication with landlords and tenants and issuing of reports. Organise, Prepare & Attend the Annual General Meeting and any other meetings that may take place. We check and pay invoices, monitor and pay subcontractors. Organise expert maintenance personnel on a 24 hour basis at negotiated rates. Manage all aspects of cleaning, landscaping, refuse removal, security. We ensure the property is compliant with local and national Health and Safety regulations and meets standards. Maintenance of emergency lightening, lifts, automatic gates, ventilation systems, fire prevention systems. Security visits – mobile or static – arranged to suit client needs. Contact Absolute Property Management today for a hassle free no-commitment quotation on your Property Management Requirements. We work with owners and managers of properties of all sizes from individual Houses & Apartments to large scale Residential Blocks and Retail outlets. Our experienced and professional team are here to help you.